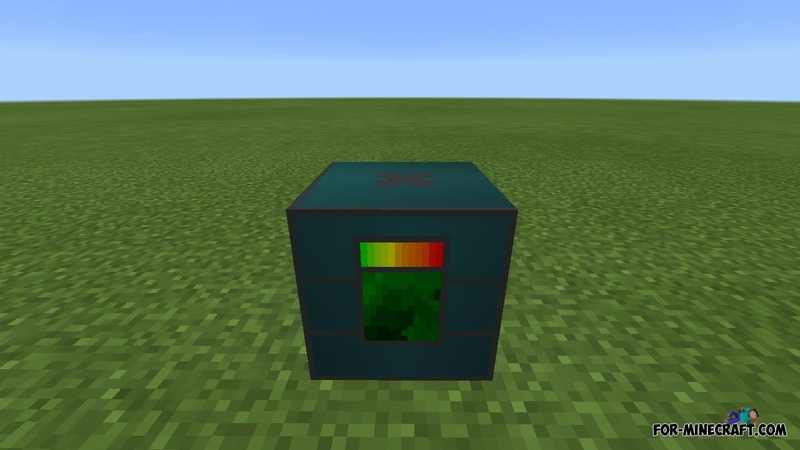 This small addon adds a magic block, or rather a mechanism that allows you to change the weather. This thing is compatible with the Ender IO mod and requires fuel for operation. Changing the weather is impossible in survival mode for an honest player not using cheats, so this block was added to MCPE. 1. Place the block and tap on it. 2. There is a slot for fuel in the opened interface, fill it (for example coal). 3. Tap on the button below the slot and the weather will gradually change. 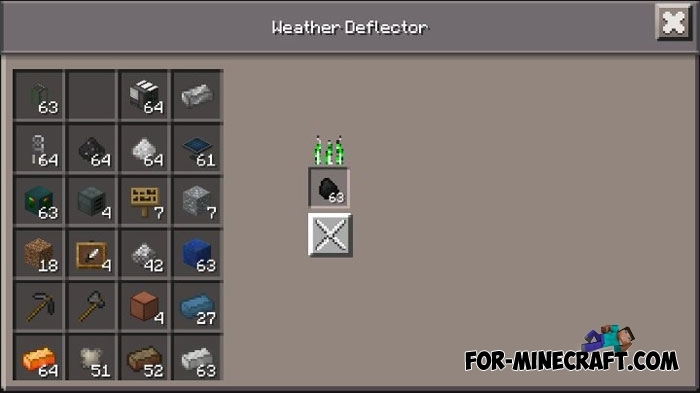 How to install the Weather Deflector addon? 2. Copy the WeatherMod folder here: games/com.mojang/mods. Dark Magic mod v1.0.2 for Minecraft PE (Blood Magic)Sacrifices, a blood cult and other magical things are already waiting for you in this mod..